AN INVITATION TO SPLASH YOUR TREASURED PHOTO MEMORIES WITH COLORS OF SARAH HART ART. Portrait by Mothwing Photography. Superimposed is Sarah Hart Art. Send in your photo (high resolution). Fill out a form about favorite colors, favorite books to let me know about your preferences. I send you a customized art piece, your photo superimposed with a Sarah Hart Scan. Olivia and Randy's "Save The Date" announcement: engagement photo + a custom Sarah Hart Art piece. 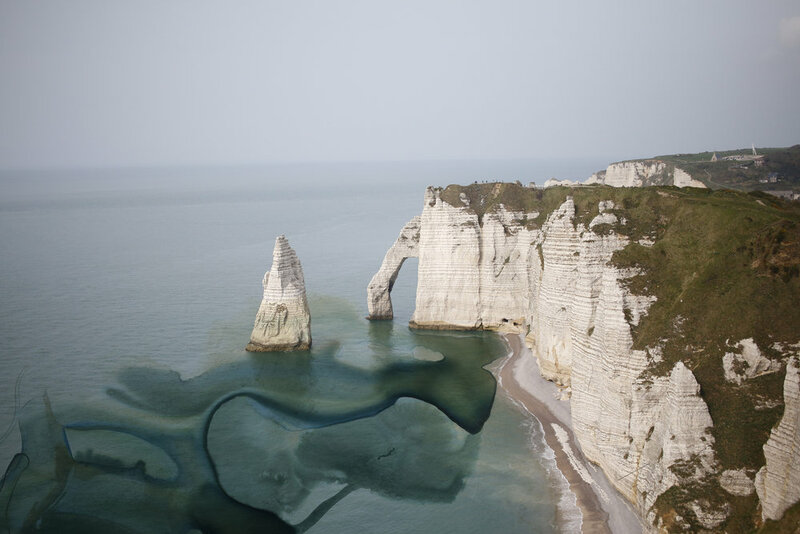 A 2015 memory of Etretat, France, splashed with Sarah Hart Art.